Auguste Mariette, 1872, Album du Musée Boulaq. 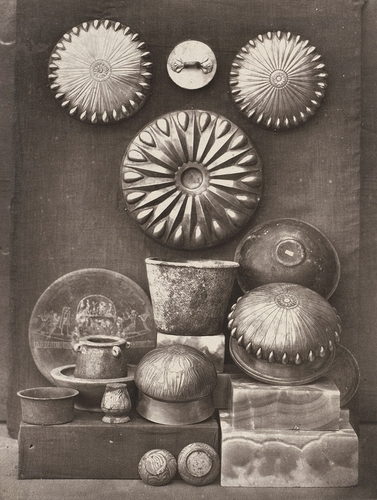 Kairo, (Cairo, Mourés) with 42 carbon prints on 40 plates by (Hippolyte) Délié and (Émile) Béchard, most circa 25 x 19,5 cm. Folio, original half-leather with gilt-tooling and gilt-stamped title.